Keeping the tradition of what his 72-year life has been about, civil rights icon Rev. 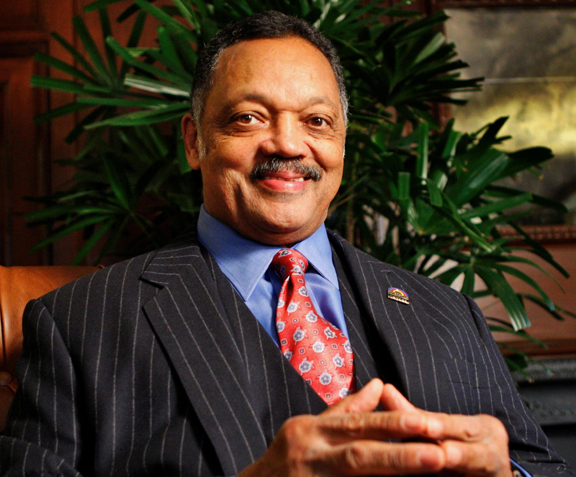 Jesse L. Jackson Sr. pledges to keep building and sharing when he celebrates his birthday at the Rainbow PUSH Coalition and Citizenship Education Fund Annual Awards Gala on Friday Nov. 22 at the Beverly Hilton Hotel. “I thank God for my life, but my life is about building, building and sharing,” Rev. Jackson told the Sentinel this week. People United to Serve Humanity (Operation PUSH) began operations on December 25, 1971 and was started by The Rev. Jackson to hold elected officials and corporations accountable on behalf of Blacks and other minorities. Moreover, Jackson said he is disturbed by the impact of Parent Plus Loans being cut and the cutting of Pell Grants. Jackson who unsuccessfully ran for president in 1984 turned 72 on October 8, is using the platform of his national civil rights organization to not only celebrate his life, but to also continue his fight for equality and social justice. Significantly, the reverend just returned from meaningful visits to Nigeria, South Africa, and Brazil, addressing the critical issues facing the African Diaspora, and drawing links to the plight of African- Americans at home. This year also marks critical landmark struggles in the U.S., from the fight to protect the Voting Rights Act from the regressive Supreme Court decision, to commemorating the 50th anniversary of the March on Washington and the Church bombings in Birmingham, to critical movements to protect the Affordable Care Act from the current onslaught in Congress. Honorees at this year’s gala include: Lysa Heslov, founder and executive director of Children Mending Hearts; Robin Bronk, CEO, The Creative Coalition; Steve McKeever, music producer and CEO of Hidden Beach Records; Lester McKeever, principal of Washington, Pittman and McKeever; Andrew Young, former US Ambassador to the UN; Rev. Joseph Bryant, senior pastor, Calvary Hill Community Church; Jeffrey David Cox, Sr., National President, American Federation of Government Employees/AFL-CIO; Thomas Saenz, president and General Counsel, MALDEF. Musical performances include Jin Jin Reevs and Hitzville. Proceeds from the gala celebration are being directed to a commitment to providing scholarships for students across the country, to expand their higher education opportunities.